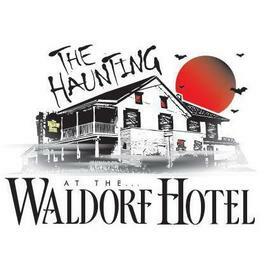 WALDORF HOTEL Brand new horror awaits you at the Waldorf Hotel...A portal to Hell has opened and the demons have possessed our once friendly establishment. Wander through what remains of our restaurant and hotel but be careful of who you come in contact with for they are not of this world. Our haunted Hotel is filled with high tech lights and tricks but most of all energetic, enthusiastic actors that will have you crying for your Mommy. Our newly renovated scenes will leave you begging to wake up from this nightmare. What's new this year? 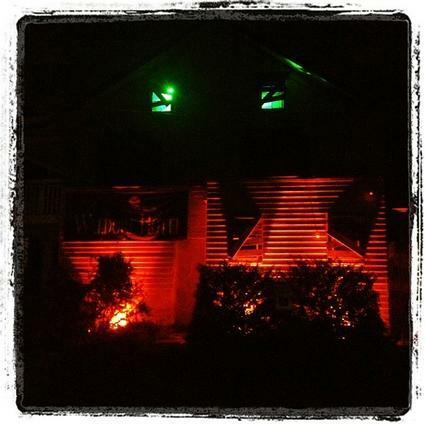 Check in to find out...we dare you!!! 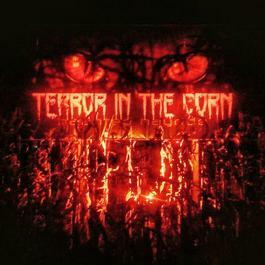 TERROR IN THE CORN Jump on the wagon and enter into the Pumpkin King's domain. Our theme this year...horror movie icons. Sit back and try to relax as you enter into some of your favorite horror movies. Don't worry our creatures won't touch you while you journey on this 20 minute hayride full of realistic sets that make you part of the action. 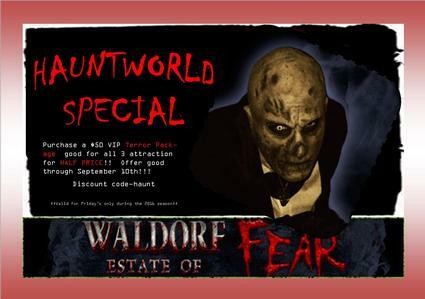 Our good old fashion haunted attraction relies on live actors to deliver our scares. So sit back and enjoy the Halloween fun!! INFECTION A new day has come. Life as you know it is over. Friends, family...they don't exist anymore!! You spend every day just trying to survive and every night praying you won't be found. Think you can find a safe haven or will you catch the INFECTION!! This interactive game of survival puts you in a zombie wasteland donning a flag belt with 3 flags representing your vital organs. Your goal...get our with your organs or become a ZOMBIE yourself!! ZOMBIE ESCAPE ROOM The apocalypse has hit and you find yourself fighting for your life in a zombie infested wasteland when a survivor offers you refuge. He locks you in for safe keeping while he goes to look for more survivors but are you truly safe? You and up to 9 other survivors have 30 minutes to solve the riddles and clues that lead you to the key to get out before the undead get in. This is a medium level escape game recommended for 12 yrs or older. Reservations are suggested since availability is limited.